Managing your business’ small purchases and expenses can prove to be difficult to track and effectively account for, so a business credit card with detailed monthly billing or online management could be a good solution. A business credit card can also help you to manage your cash flow as you can preserve your cash flow by making purchases on a credit card that offers periods up to 59 days interest-free credit on purchases. There are a variety of business credit card providers in the market and we have taken a look at what they can offer below. The table below gives a quick comparison of the top UK providers for business credit cards. Some of the features and benefits of Capital on Tap’s business credit card. Capital on Tap is a business credit provider that offers business credit cards and loans to UK businesses that have a minimum monthly turnover of £2,000 and has no unsatisfied CCJs against them in the last 12 months. Capital on Tap’s credit card has a credit limit that is up £50,000 that will be reviewed on a quarterly basis and your funding limit can be adjusted to meet your growing business needs. The online application is simple and quick to complete and you will receive an almost instant decision and your credit card within 4 business days. Some of the features and benefits of NatWest’s business credit card. NatWest is a financial banking provider that offers two types of business credit cards – Business credit card and Business Plus credit card. They both offer a convenient method of managing your expenses and can help you to build your credit profile. NatWest’s business credit cards are available to a variety of business types and not for profit organisations. The Business credit card is designed for business with a turnover of up to £2 million. It offers 24.5% variable APR and £32 annual fee per cardholder. The Business Plus credit card offers 29% variable APR, £70 annual fee per cardholder and is eligible for cashback up to 2%. Some of the features and benefits of Barclaycard’s business credit card. Barclaycard offers a choice of three credit cards and two charge cards and their online card selector will help you work out which is best for you. Barclaycard’s three credit cards are Flex, Select and Premium Plus. The Flex card has no annual fee and initial 3-month interest-free period, then 24.9% variable APR suited to start-ups and occasional need. The Select card has no annual fee for 12-months and 6-month interest-free period, then an annual fee of £23 and 26.4% variable APR. The Premium Plus card has £100 annual fee and 36.2% variable APR designed for those trading overseas as it includes enhanced travel services and cashback facility. Some of the features and benefits of Santander’s business credit card. Santander is a financial banking provider who offers a business credit card to small to medium-sized businesses. They offer a Business Cashback Credit Card to businesses with up to two directors, owners or partners. The cashback offered is 1% on purchases and they also offer up 56 days interest-free credit. Santander’s business credit card has a £30 annual charge and they do not charge for additional cards. The cards offer a flexible way of managing your business expenses with detailed monthly statements and the ability to control the cardholders spending limit. They do not charge foreign transaction fees on purchases made abroad. Some of the features and benefits of HSBC’s business credit card. HSBC is an international banking provider offering a wide range of business banking services including credit cards. Their business credit card is free for the first year then £32 annually after that and additional cards are available on request. They offer a tailored credit limit to meet your needs and borrowing status. HSBC offers up to 56 days interest-free credit on purchases which can help you manage your cash flow better. They offer flexible repayment options with additional credit period for those paying by direct debit. Their online banking and financial reports allow you to track and manage your spend more effectively. Some of the features and benefits of RBS’ business credit card. RBS is a recognised financial banking provider that offers business credit cards to their existing business bank account customers only. They offer two credit cards called Business credit card and Business Plus credit card. RBS’ Business credit card has a variable APR of 24.5% with 45 days interest-free credit and an annual fee of £32 per cardholder, although the first year’s fee is waivered for start-ups. It is available to businesses, charities, clubs and societies. The Business Plus card has a 29% APR and £70 annual fee per cardholder. It offers up to 2% cashback on eligible purchases and no charges for purchases abroad. Some of the features and benefits of American Express’ business credit card. 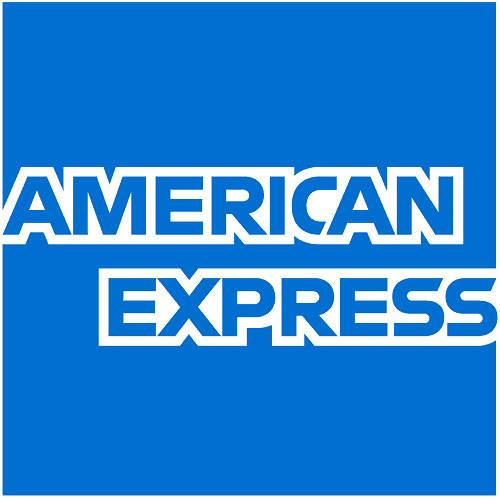 American Express is an international recognised card brand that offers businesses in the UK a selection of business charge cards. The Basic Business Charge Card has no annual fee and no pre-set spending limit, but its purchasing capacity will evolve based on your needs and use. American Express’ Gold Business Charge Card has an annual fee of £125 but offers up 54 days credit and a reward programme to earn points on purchases. Their Platinum Business Charge Card offers the same features as the Gold card but has additional travel benefits and rewards, and the annual fee is £450. The platinum card can get additional complimentary Gold cards. Some of the features and benefits of Metro Bank’s business credit card. Metro Bank is a UK banking provider who has stores in London and southern parts of England. They offer one business credit card that is simple with a transparent pricing structure. They have a single variable of 13% APR for all customers and do not charge any annual fees. Metro Bank’s business credit card offers up to 56 days interest-free credit and no transaction fees in most parts of Europe. 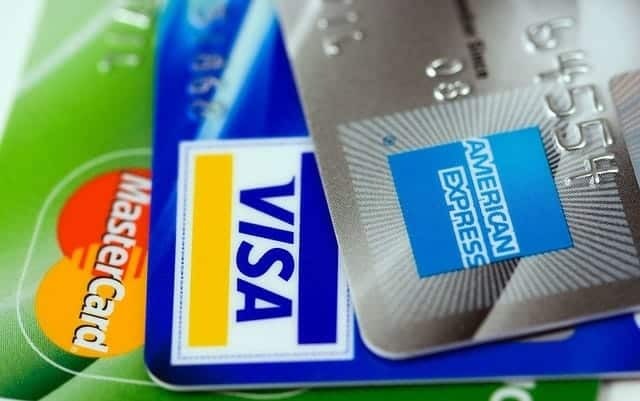 The business credit card is however only available to businesses that have either their Business Current Account or Commercial Current Account. Customers can apply in branch and leave with a card the same day as well as obtain replacement cards. Some of the features and benefits of Lloyds Bank’s business credit card. Lloyds Bank is a UK based financial banking provider that offers a variety of business products including credit cards. Their business card offers a credit limit up to £10,000 with a typical variable APR of 22.4%. The credit card has an annual fee of £32 per card. 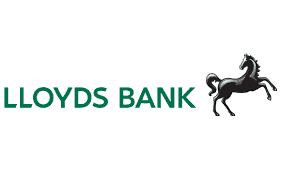 Lloyds Bank’s business credit card is only available to their business current account customers. The credit card offers up to 45 days interest-free credit on purchases and a withdraw limit up to £500 per day. They offer up to 20 cards for your employees that can be individually tailored to have their own credit limit. Some of the features and benefits of TSB’ business credit card. TSB is a UK banking provider that offers a range of business products which includes credit cards. They provide VISA business credit cards that are widely accepted in the UK and abroad. Their business credit card has a representative variable APR of 22.4% and an annual card fee of £32. TSB’s business credit card offers up to 45 days interest-free credit on purchases and up to £500 per day as cash withdraws where additional charges apply. You can order additional cards for employees and you can select individually the limit on the cards. They help you to manage your spend with detailed monthly statements. Some of the features and benefits of Yorkshire Bank’s business credit card. Yorkshire Bank is a financial provider that offers businesses a wide range of services which includes business credit cards. They offer their business credit card as a means of helping you to manage your finances more effectively as you can track expenditure better and free up cash flow with SmartData. This online accounting tool enables you to track and report on your credit expenditure easily. Yorkshire Bank’s business credit card has a representative APR of 22.4% and an annual card of £28 although the first year of each card is free. They provide up to 59 days interest-free credit on card purchases. Some of the features and benefits of Clydesdale Bank’s business credit card. Clydesdale Bank is a banking establishment that provides a range of business products including business credit cards. They offer a single credit card product that has a representative variable APR of 22.4% with an annual fee of £28 which they waiver for the first 12 months. The credit card offers 59 days interest-free credit on purchases. 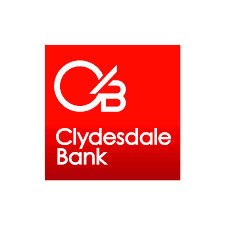 Clydesdale Bank provides additional services to its business credit card holders as they are offered Mastercard Business Savings Scheme to receive discounts on participating retailers. They also offer access as standard to SmartData which is an online accountancy tool that will help you track and report on your expenditure. Some of the features and benefits of Cashplus’ business credit card. Cashplus is an independent alternative banking provider offering business products such as credit cards. They offer a single business credit card product that is simple and has no hidden fees including no annual card fees. They offer an initial credit card limit of £3,000 and will review this after 6 months. Cashplus has a simple online application that will give applicants an instant decision on whether they are eligible. Their business credit card offers up to 56 days interest-free credit on purchases and a representative variable APR of 24.9%. They will provide you with fully itemised billing so that you can track your expenditure better. Some of the features and benefits of Bank of Scotland’s business credit card. Bank of Scotland is a UK based banking provider who offers a range of business products including credit cards. They offer a business credit card product that can enable you to manage your business spend more effectively by tracking your spend on their online banking facility. Bank of Scotland’s business credit card is available with a card limit of up to £10,000 and can be used at home or abroad on purchases. They offer up to 45 days interest-free credit on purchases and cash withdraws of up to £500. You can have up to 20 cards on your credit account and each card will have a £32 annual fee.